A special exhibit was presented by Bekkering Adams Architects at the Palazzo Mora in Venice during the international Architecture Biennale. 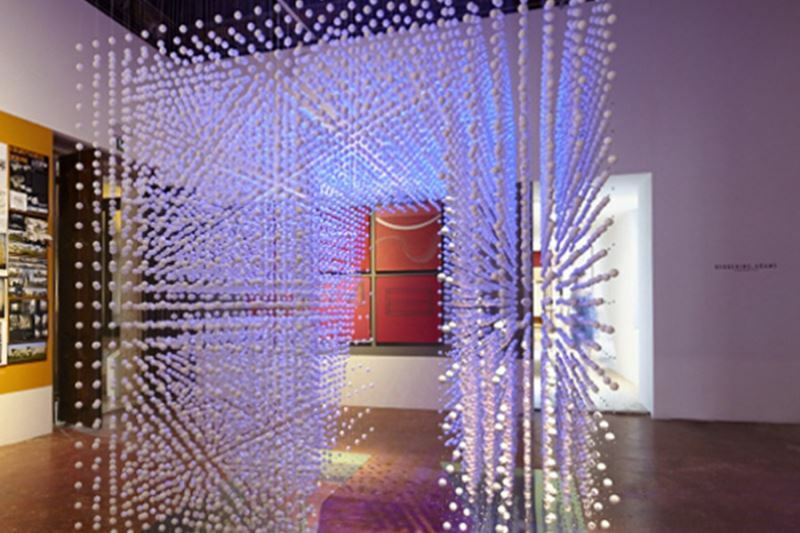 The exhibit was made possible in collaboration with BeersNielsen lighting designers and ABT. The exhibition has the central theme ‘FUNDAMENTALS: Form-ContraForm’. The meaning of fundamental construction elements in architecture forms the central thread in this theme. Bekkering Adams Architects designed an exhibit which put the definition and perception of space and infinity at the centre. 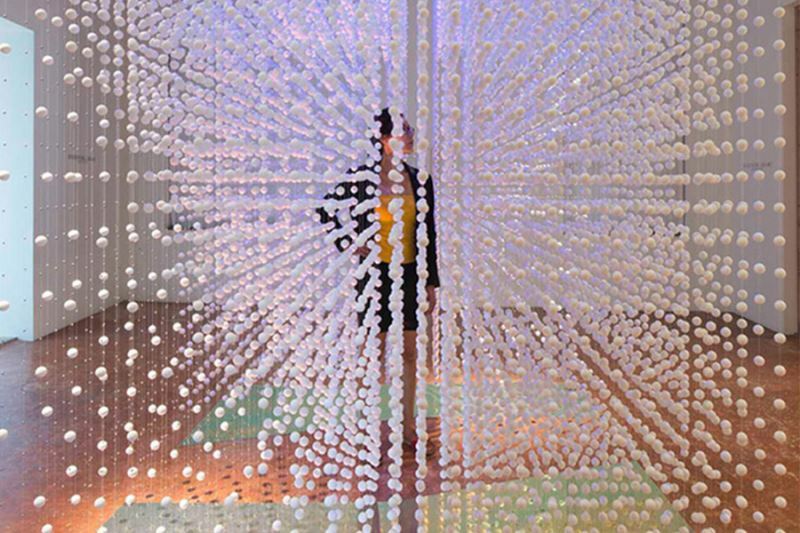 The exhibit allows the visitor to perceive the space does not only come about through material limits. A space goes beyond the tangible part. The exhibit consists of a floating spatial form. The basis of this form is a cube of 2.5 x 2.5 metres, from which sections have been removed. 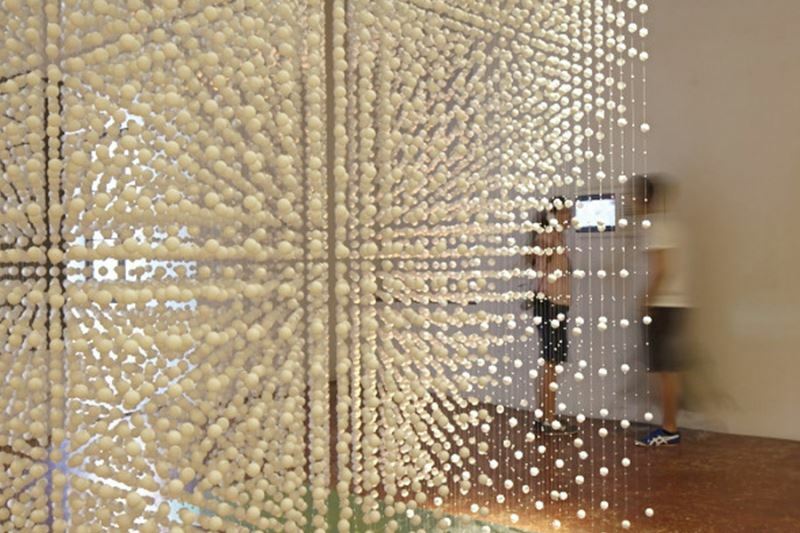 The spatial form is composed of floating spheres. As visitor you walk through the exhibit and are as it were absorbed into the artwork. In this way you experience the artwork from within. The lighting is an important aspect. A different image is created constantly with shifting light projections and variable illumination. ABT made its input on the way in which the exhibit could be constructed to appear to be floating. The wires used were made all but invisible. ABT also worked out how the exhibit could be hung from the centuries old beams of the Pallazo without damaging the beams. The solution turned out to lie in a steel clamp clamped on either side of the wooden roof-beams. Finally, ABT gave input into the frame that forms the basis for the exhibit. This frame had to be able to be disassembled and easy to transport and handle.